East Hampton interior by Billy Cotton Studio, with a charming floral wallpaper and white and blue armchairs surrounding a rustic bed. Antique Chinese porcelain birds rest on gilt-wood brackets in an eclectic dining room by Mackay Boynton. The dining chairs are from a local country club. The cashmere throw on the cane armchair is by Ralph Lauren Home. The verdant dining room of a Long Island home features walls painted in Benjamin Moore’s zesty Grenada Green and curtains in Quadrille’s Forbidden City fabric. Dining chairs are covered in a velvet by Schumacher. Antique chandelier from Meg Braff Designs. Pink Paradise By Sofia Aspe with a gorgeous golden chandelier and colorful contemporary art. A custom de Gournay wallpaper creates a secret garden in a Manhattan apartment. The cushions on the Scalamandré bamboo armchairs are covered in Mengikat by Kravet; the settee is also by Kravet. To nail the hue of a Manhattan dining room, Celerie Kemble matched Fine Paints of Europe lacquer to a Pantone color. Kemble’s Yves dining table and Cassandra chairs in a George Spencer Designs velvet are from Henredon. Newport Beach Dining Room by Peter Dunham Design with gorgeous art placement. In the breakfast room of a 1930s home, designer Christopher Maya cultivated a lighthearted mood with an oval table of his own design and Hepplewhite side chairs from J&M Antiques that he stripped and bleached to give them a relaxed look. Floors were painted with an octagonal honeycomb pattern by Artgroove. Curtains and walls in a custom Tree of Life pattern from the Christopher Maya Collection. Italian chandelier, David Duncan Antiques. Hamptons Showhouse 2016 by Mendelson Group with a tropical vibe. 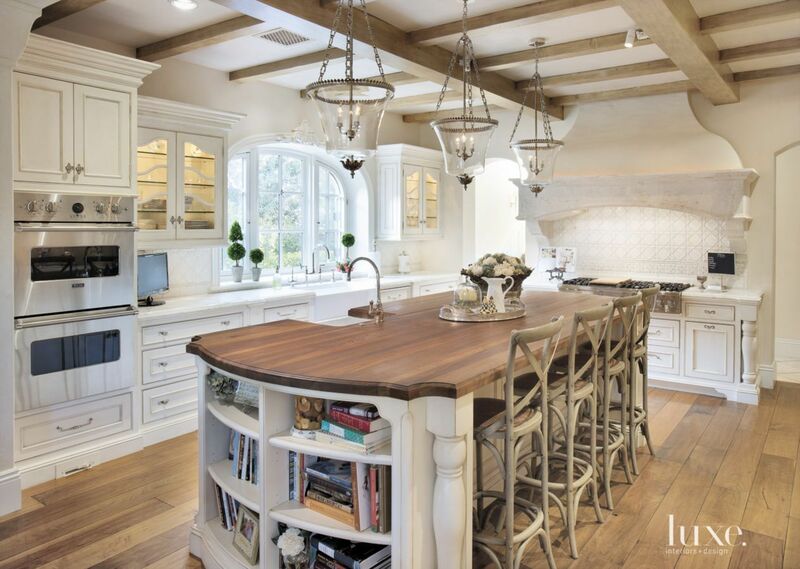 We’re putting the spotlight on elegant chandeliers, mahogany tables and more. Want extra inspiration for other areas in your home? Our living room and bathroom galleries are full of ideas. Designer Nina Farmer updated a period home with a Phillip Jeffries horsehair wall covering. 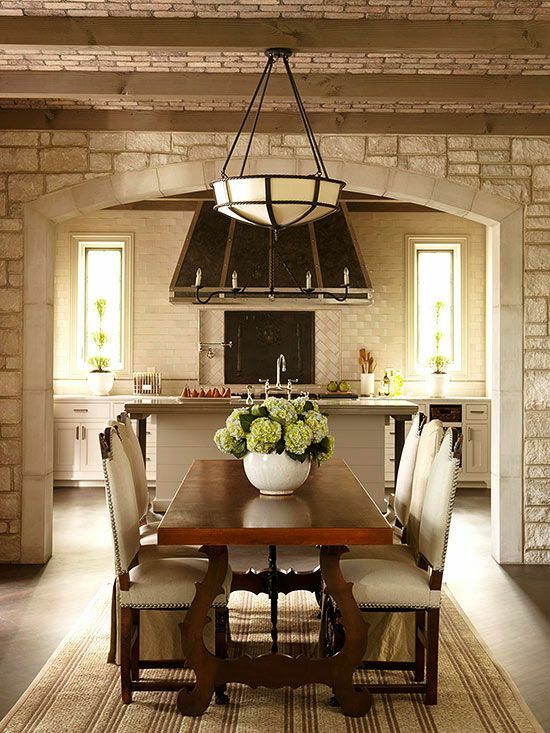 Around a Keith Fritz table, dining chairs are covered in a textured linen jute from Holland & Sherry. 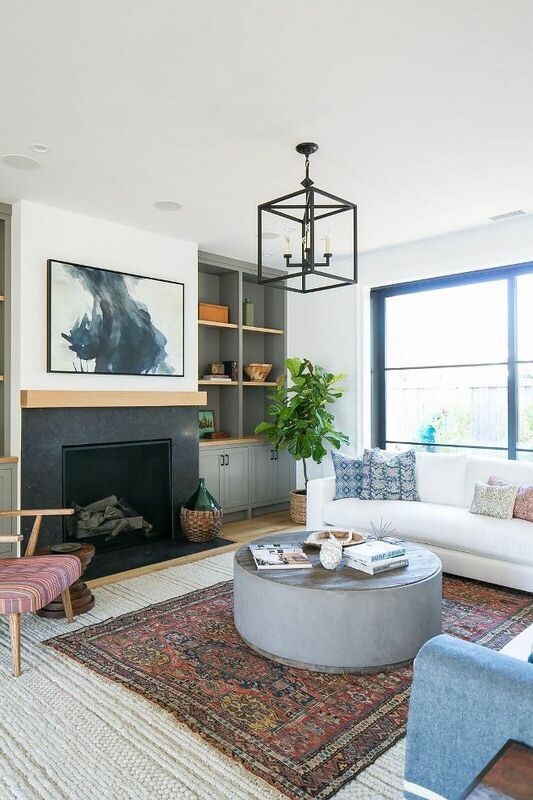 A San Francisco apartment’s small dining room doubles as a library, where part of owner John Mayberry’s art collection is displayed — including an antique bronze Sukhothai Buddha acquired in Bangkok, a vintage zebra-skin rug from London and a lamp made from an antique Chinese burial urn. In the dining area of an island getaway, a Sedgwick & Brattle rope-wrapped chandelier hangs over a custom Global Views table. The McGuire chairs have cushions in a fabric from Jerry Pair. Scandinavian Dining Room Design By StudioIlse in black, white and gold. In the circa-1790 dining room of his Catskills, New York, weekend home, designer Juan Carretero painted the ceiling a high-gloss blush. “It gives your complexion a candlelit glow,” he says. Justina Blakeney used her own Aja wallpaper in her home’s dining room, this time in Aubergine. It’s a bold backdrop for furnishings including a set of Verner Panton chairs — hand-me-downs from her grandparents. The vintage Bumling pendant and Turkish kilim were found on eBay. Biltmore Residence In Palm Beach by Brown Davis Interiors, featuring cream tones, gorgeous armchairs, and exquisite floor lamps. Coastal Style design by Robert AM Stern Architects with gorgeous golden chandeliers, elegant chairs over muted blue tones. Stuart W Residence Dining Room By Enos Reese in classical style. To update a ’60s Houston house, Ray Booth and Elizabeth Kennedy outfitted the dining room with a sleek Bradley table. The McAlpine for Lee Industries chairs are covered in a Rogers & Goffigon linen blend and the curtains are in a Holly Hunt fabric. The pink upholstery on these vintage chairs pop thanks to a coat of high-gloss white. Floors here and throughout the Virginia house are painted in Gray Owl by Benjamin Moore mixed with clear stain. Jeff Andrews Design, Beverly Hills Bachelor Pad with contemporary wooden furniture. In the dining room of her Charleston rental, stylist Jill Sharp Weeks mixes elements from different eras and cultures. The photography triptych by Rob Brinson features objects from Weeks’s collection of tribal jewelry. 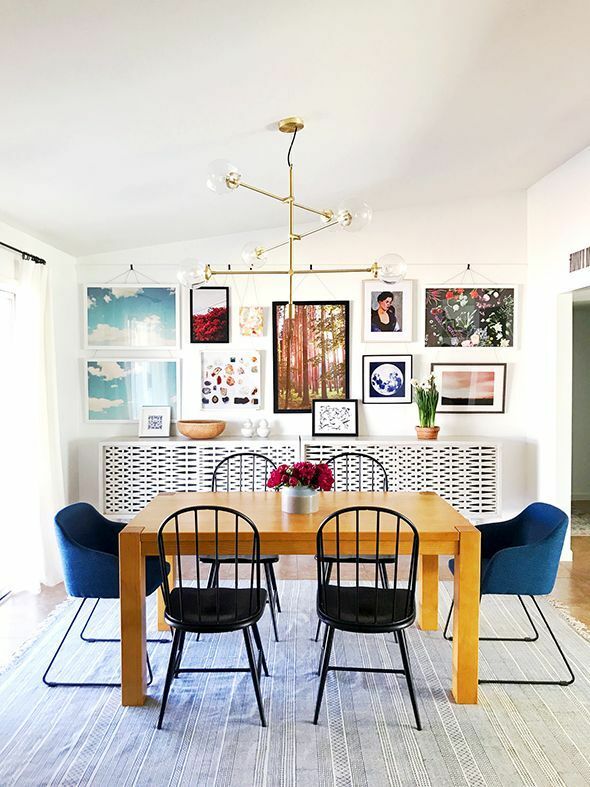 Let’s find out how 20 completely different famous interior designers decorate a dining room, a place for family meetings, happy moments and delightful meals that deserve interior design spotlight. 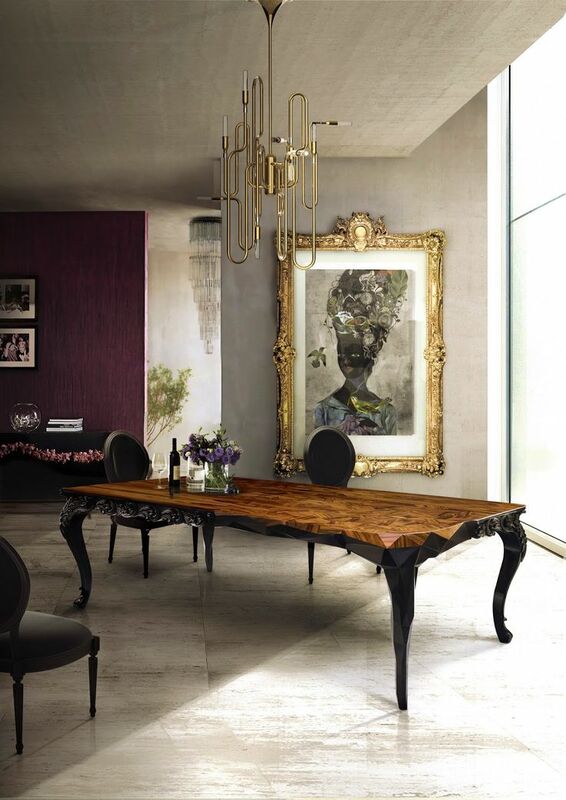 Here you’ll find sumptuous dining rooms by designers such as Kelly Hoppen, Barbara Barry, Rafael de Cardenas, Billy Cotton or Enos Ilse, and styles ranging from vintage to contemporary, Scandinavian to Eclectic and every dining room style you can imagine. Designer Gary McBournie covered a Nantucket cottage’s dining room with reflective Champagne on Pewter Leaf wallcovering by Phillip Jeffries. “It’s really nice at night, with the candles lit,” he says. “It provides a soft, dull reflection with great warmth.” The chairs are designed by Duane Modern. In the kitchen of a South Carolina home by Michelle Prentice, a Danish dining table is surrounded by Jacob Kjaer chairs in Bretano’s Royalsuede and vintage French armchairs in Lee Jofa’s Tahira Ottoman fabric. In the dining room of this Cape Cod estate, a sea-grass rug covers the floor. 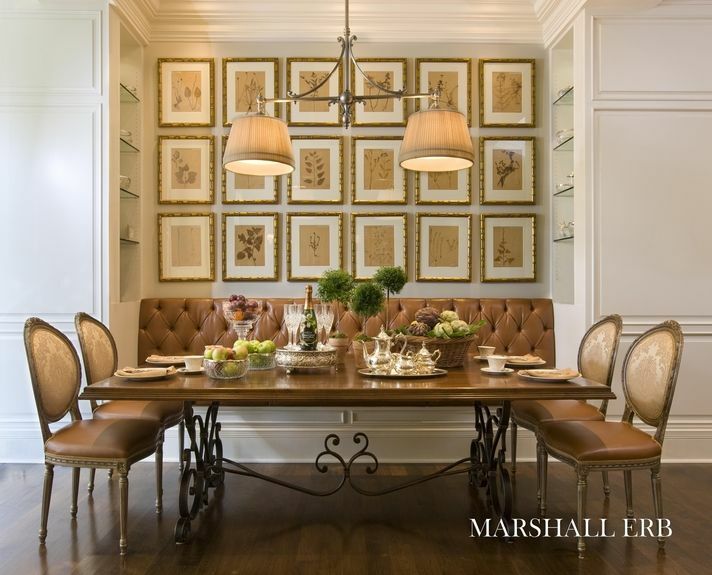 Designer Kathryn M. Ireland reupholstered the owners’ Gustavian chairs and had the matching table made by the Lief gallery. Catherine Olasky chose “one of [her] all-time-favorite prints” — Nympheus linen by Thomas O’Brien for Lee Jofa — for the dining room curtains in her Texas home. South African Wonki Ware pottery is displayed in one of two hutches original to the house. In a renovated Tudor beach house on the New Jersey shore, Colleen Bashaw conjures a riot of boho quirk for Scott Belair, the cofounder of Urban Outfitters and Anthropologie. The breakfast room’s wallpaper is Brett Design’s Knit Large. 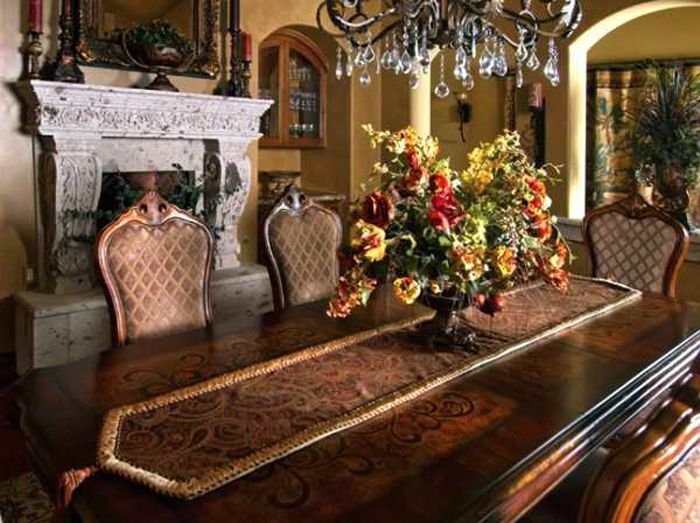 After a dramatic makeover, a Texas dining room now bursts with high-octane design, from the Zuber wallpaper to the molding’s Pantone shade of Piquant Green. Long Island Beachfront Hideaway by Cullman And Kravis where creamy meet white tones. 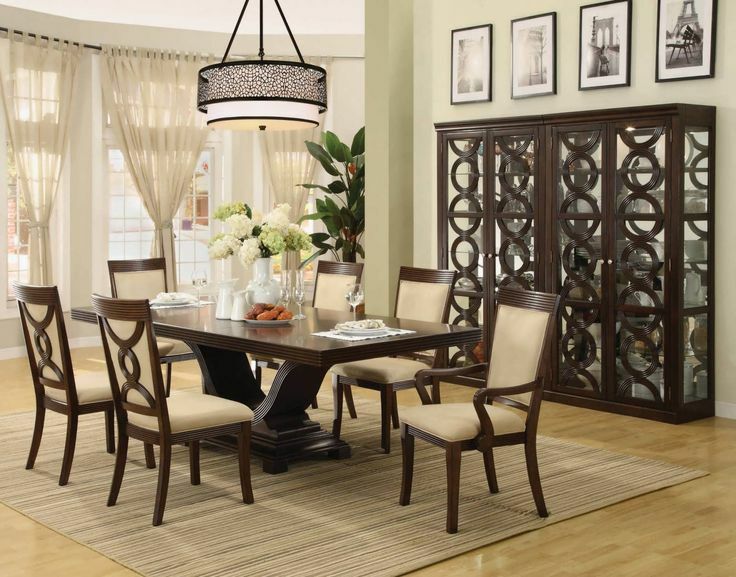 A Hamptons dining room features Modern Living Supplies chairs in a Rubelli fabric. The custom Knotty Bubbles chandelier is by Lindsey Adelman. At a Lake Tahoe retreat, the formal dining area mixes rusticity and refinement. The custom plank table is large enough to seat 14 guests. The Aesthetic dining chairs are covered in a hair-on-hide leather by Cortina, “which feels perfect in the mountains,” says designer Matt O’Dorisio. On the 40th floor of a Manhattan skyscraper, a round vintage table by Eero Saari­nen echoes the curve of the windowed wall. The vintage Prague dining chairs are by Josef Frank. In the dining room of Nestor Santa-Cruz’s Texas home, a re-edition of Poul Kjaerholm’s PK54 dining table is paired with vintage Maison Jansen chairs. “The table’s cube base talks to the square backs of the chairs,” notes Santa-Cruz. A Brunschwig & Fils wallcovering gives a Hamptons dining room by Lisa McFadden an intimate feel. Dinner parties aren’t a problem here. In a home near Washington, D.C., the custom walnut table has rosewood banding and extends to seat 16. Malibu Residence Dining Room By Barbara Barry in mid-century modern style.